It's still unclear if Ben Affleck is done as Batman following Justice League. Heck, Warner Bros. may not want him back after the way that film is performing. It's all but certain he won't be suiting up for Matt Reeves' The Batman, but he could return for at least one more DCEU film down the road. Affleck had been set to direct The Batman himself, however that never worked out as planned. He still wants to direct a Batman movie at some point, though, according to a new interview he's done with Daily Sabah. Yeah, we'll see about that. 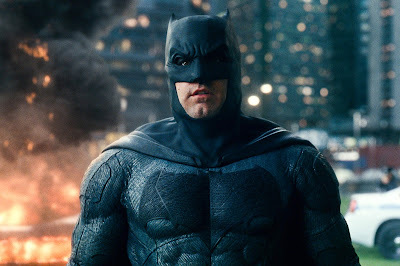 Affleck's relationship with Warner Bros. seems pretty frayed right now, but I wouldn't see past him getting a shot to do a Batman movie in the future. There would probably be someone else in the cape and cowl, though.